We have cleared the medical industry standard. We meet the requirements of the Japanese Pharmacopoeia. Our facilities meet the following environmental conditions. 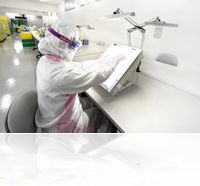 All processes such as making film, making bags, and printing are performed in our cleanroom facilities, preventing products from including different matter such as harmful particles. 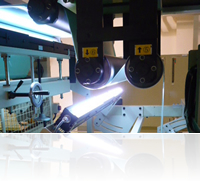 Enables to precisely inspect foreign matter on a sheet. Washes micro dusts and microbes on the port part of product. 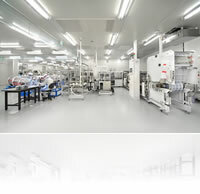 BESPACK have been dealing with many pharmaceutical companies, accumulating abundant experience and performance. 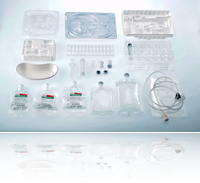 We produce multiple-chamber containers, single-chamber containers, and medical apparatus. PE can be sterilized at 110 ℃. PP can be sterilized at 121℃. We also provide composite material bags.